Check out the Amazing Sales Happening at Life is good! Get ready for summer with gear and fashions that give a little something back when you shop Life is Good. They have some AMAZING sales going on right now! Take a look at a few of my favorite deals. Snag them before they’re gone! Great Sales at Life is Good! Life is good has an amazing new offer for a Free Beach Towel When You Spend $100 or more with code: SUMMER at Lifeisgood.com! Offer runs through 5/24. For a limited time only, Life is good’s Tried and True Crusher Tees are 2 for $40! Check out a few of my favorite designs included in the offer! Save 25% off All Sweatshirts and Hoodies, Mugs and Chill Caps! As always, Free Shipping Is Included! Offer runs through May 31st and excludes clearance items. No promo code needed. The Life is good Clearance Event continues! 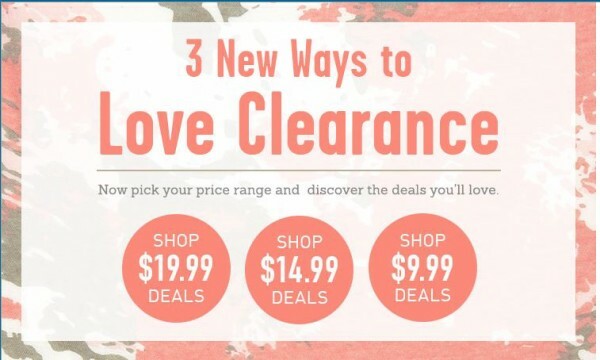 Pick your price range and discover deals you’ll love at Lifeisgood.com! Deals range from $9.99 – $19.99…Free Shipping Is Included. Get your favorite Crusher Tee in solid, basic colors now! No graphics, just those gorgeous trademark Life is good colors made with sustainably sourced in 100% US grown cotton. Grab them 2 for $35! No promo code required. Meet the cool new cotton T-Shirt Dress…Life is good’s favorite one-piece wonder with a body-skimming silhouette and a tropical traffic-stopping print. While we’re talking dresses and skirts, check out the new Foldover Skirt. In two great colors and graphics, a flattering silhouette and rollover waistband, the Foldover Skirt combines style with everyday comfort! Take a look at some of the dresses and skirts in this collection below. Free Shipping on the All New Foldover Skirt in Two Great Colors at Lifeisgood.com!